• 14-19 June 2016. SCOPE Basel, Switzerland. • 28-31 Jan 2016. LA Art show, Los Angeles. • 14-18 June 2015. SCOPE Basel, Basel Switzerland. • 6-8 March 2015. SCOPE New York. New York City, New York. • 14-18 January 2015. LA Art Show. Los Angeles, California. • 2-7 December 2014. SCOPE Miami Basel. Miami, Florida. • 4 February-27 March 2014. Oneself As Another. Royal West of England Museum. Bristol, United Kingdom. • 9-13 October 2013. Strarta Art Fair. Saatchi Gallery, Stand 3A Gallery Different. London, United Kingdom. • 4-31 July 2013. New Contemporary Portriature. Rook & Raven Gallery. London, United Kingdom. • 14 June 8-11pm 2013. Generation of War. MDCI House. West Hollywood, Los Angeles. • 11 Sept-20th October 2012. Brand For Life. de freo gallery, Augustrasse, Berlin. • May 2012. Stolen Faces. Englefield House. Newbury, United Kingdom. • May 2012. Candid Berlin. Universität der Künste Berlin. Hardenbergstrasse, Berlin. • April 2011. Stolen Faces. The Future Gallery. Leicester Square, London, United Kingdom. • December 2010. Breakthrough Breast Cancer. Victoria & Albert Museum. London, United Kingdom. • 2009. Small is Beautiful. Flowers East Gallery. London, United Kingdom. • 2009. Follow Your Art show & auction. Royal Institution of Great Britain. London, United Kingdom. • 2009. Scope Basel Art Fair. Basel, Switzerland. • 2009. Cutlog Art Fair. Bourse du Commerce de Paris. Paris, France. • 2009. London Art Fair. James Freeman Gallery. London, United Kingdom. • 2009. Next Art Fair. TheBunkerGallery. Chicago, IL, USA. • 2009. ArtBarter. The Rag Factory, London, United Kingdom. • 2009. Galeria Miquel Alzueta Group Show. Barcelona, Spain. • 2009. The Seduction of Paint. Rollo Contemporary Art. London, United Kingdom. • 2008. Small is Beautiful XXVI. Flowers East Gallery. London, United Kingdom. • 2008. Central Saint Martin’s Degree Show. London, United Kingdom. • 2008. Jerwood Contemporary Painters Exhibition. London, United Kingdom. • 2007. BP Portrait Award Tour. Dean Gallery, National Galleries of Scotland. • 2007. BP Portrait Award Tour. Laing Art Gallery. Newcastle, United Kingdom. • 2007. BP Portrait Award. National Portrait Gallery. London, United Kingdom. • 2015. “Johan Andersson”. Arte al Limite. Chile. • 2013. Painting & drawing award winner. Art Takes Paris. Judged by Metropolitan & Andy Warhol Museum. • 2008. Jerwood Contemporary Painter’s Prize. • 2007. 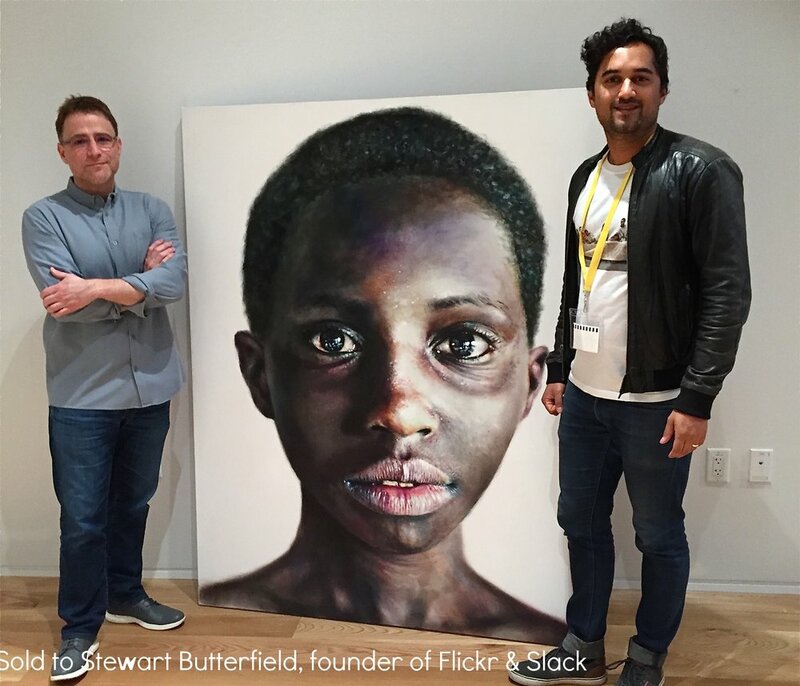 BP Portrait Award, 3rd Prize. National Portrait Gallery. London, United Kingdom. • 2013. Celeste Prize shortlist. • 2013. The 100 Most influential creatives in Britain. TimeOut Britain. • October 2012. Regents Park tube poster advertisement ‘The peace project’. Artbelow. • 11 September 2012. “Painter creates clash of circumstance”. The Local. Germany. • 4 October 2012. “Sixth Form Art students enjoy masterclass with Johan Andersson”. First Eleven magazine. • 14-20 May 2012. Digital Projection at Oxford Circus tube. • May 2012. “Johan Andersson’s Stolen Faces”. Anoush Chakelian. The Telegraph. London, United Kingdom. • May 2012. “Johan Andersson: Stolen Faces”. Johan Wirfält. Dazed & Confused. • May 2012. 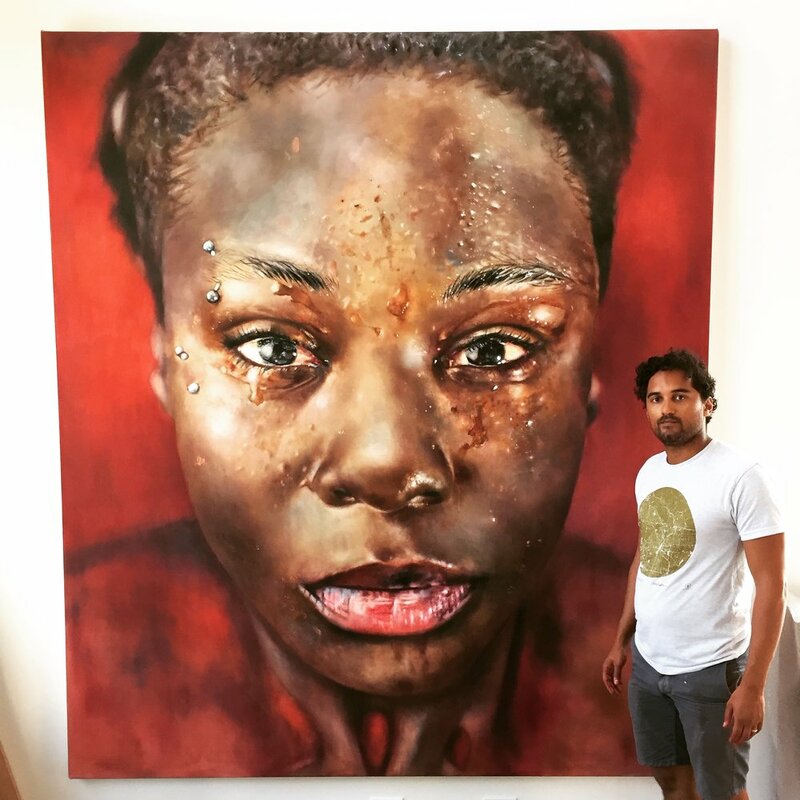 “Art Wednesday, Johan Andersson: Stolen Faces”. Tim Howard. • April 2012. “Breaking The Mould”. Beautiful Crime. • May 2012. “Watch this grad’s space”. Adam Leyland. Arts London News. London, United Kingdom. • May 2012. “Wonderboy”. Residence Magazine. Sweden. • 18 August 2011. Robert Elms Show interview. BBC London. • 23 July 2011. “Excess Baggage Interview”. Sandi Toksvig. BBC Radio. • 27 August 2011. David Lister article on Amy Winehouse painting. The Independent. • 23-24 August 2011. 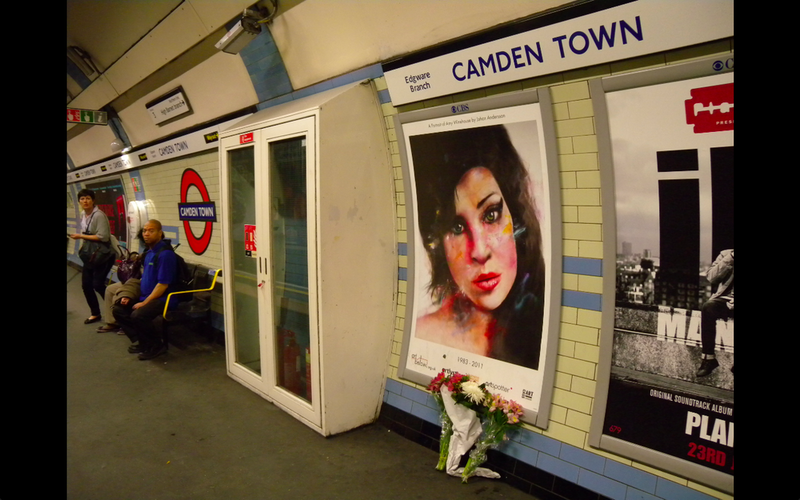 The Times, Telegraph, Independent, Evening Standard, Amy Winehouse painting. • 23 August 2011. Washington Post, Yahoo News, Msn News, Features Amy Winehouse painting. • July 2011. “The Art of Survival, Sunrise”. Eamon Holmes. Sky News. • July 2011. “The Art of Survival”. Daily Express. • July 2011. “The Art of Survival”. Daily Mail. • August 2011. Interview on Amy Winehouse painting. Ft1 France T.V. • August 2011. “Göteborg Posten Amy Winehouse painting”. Svenska Dagbladet. Expressen. Sweden. • 20 July 2011. “Konsten at överleva en dokusåpa”. GT Expressen. Sweden. • 20 July 2011. “Johan deltar i Brittisk dokusåpa”. Ttela. Sweden. • June 2011. “Stolen Faces”. Yo! Venice. Los Angeles, USA. • March 2011. “Gaddafi Painting revealed opposite Parliament”. Demotix. • November 2010. “Breakthrough Breast Cancer V&A auction”. The Sun. • Sweden 2009. DN (Dagens Nyheter) Culture. Stockholm, Sweden. • 2009. South Kensington & Baker St Underground poster advertisement. Art Below Ltd.
• 2009. Affordable show bargain art. The Sunday Times. Frieze. • 2009. Affordable show bargain art. The Sunday Times. • 2009. Affordable show bargain art. Zoo. • 2008. “Kounter Kulture: Frieze Art Fair Newsletter feature”. Artworld Magazine. • 2008. “The 20 Best Up and Coming Artists”. The Independent. • 2008. Radio Interview. Resonance FM. • 2008. “Aspiring Artist’s Brush With Faith”. Bedfordshire on Sunday. • 2008. “Hot Prospects”. Artworld Magazine. • 2008. Emerging Artist, Artinfluence. Peter Fuller Memorial Foundation. • 2008. “I Captured A Moment I Shouldn’t Have Been Allowed To Capture”. Jotta.com. • 2007-2008. Radio Interview – BBC 3 Counties 2007 Featured articles in London Lite, London Paper, Metro. London, United Kingdom. • 2007. “There’s No Substitute For Experience”. London Evening Standard. London, United Kingdom. • 2007. “The BP Portrait Awards”. London Evening Standard. London, United Kingdom. • 2007. “Ung svensk konstnär gör succé i London”. Swedish Business: Realtid Monthly. Sweden. • 2007. “Artists’ Close Brush With Reality”. The Times. London, United Kingdom. • 2007. “BP Portrait Shortlist Announced”. The Guardian. London, United Kingdom.